The Leinster kingpins enjoyed a surprise victory last week in their provincial decider when they came out the right side of a 2-1 result against an impressive Presentation SS, Kilkenny. Two second half goals courtesy of Under 17 International Kayleigh Shine and Allie Heatherington secured their progression. This deadly duo were again on target for the Athlone scholars with Róise Lennon also getting in on the action in the midlands venue to secure their place for their first Senior Cup Final appearance. Barry Ryan’s charges enjoyed a hat-trick of goals against Rathkeale stars Coláiste na Trocáire in their Munster showcase to clinch a second consecutive Senior title for the Tipperary school. 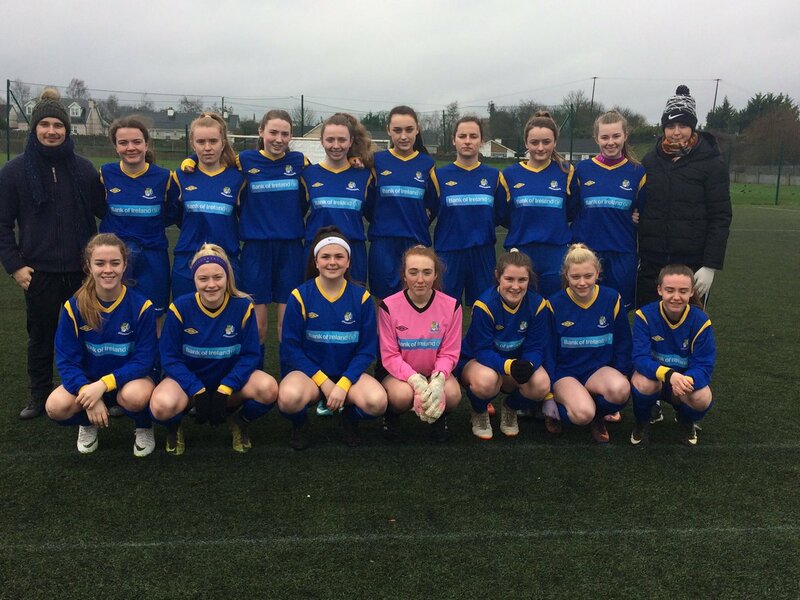 The Thurles tornadoes had a very similar line-up to last season’s squad for this encounter and thus ensured a strong starting eleven with Schools International Aoibheann Clancy applying the early pressure with her set piece specialities however the Athlone defence were equal to the challenge. Athlone got a dream start to proceedings when Allie Heatherington netted after just twelve minutes despite their opponents enjoying much of the possession early on. Clancy was the target woman for much of the first half for Presentation Secondary School but Athlone net minder Cianna Mehan had to be lively to stop her numerous advances alongside Emma O’Sullivan and Kate Sheridan upfront. The Tipp students couldn’t convert and went into the break one nil down. Another golden opportunity arose for the Westmeath side when Grace Hannon was taken down inside the box just after the restart with Róise Lennon despatching the spot kick confidently to double their tally. The icing on the cake came just after the hour mark when Kayleigh Shine came good to convert past the industrious Rachel Sweeney. A disappointing outing for the defending Champions in tough conditions but Ryan’s crew should be proud of their performances this season. A hardworking Athlone side may well be the surprise package this year as they’re now only one game away from securing a Senior title. 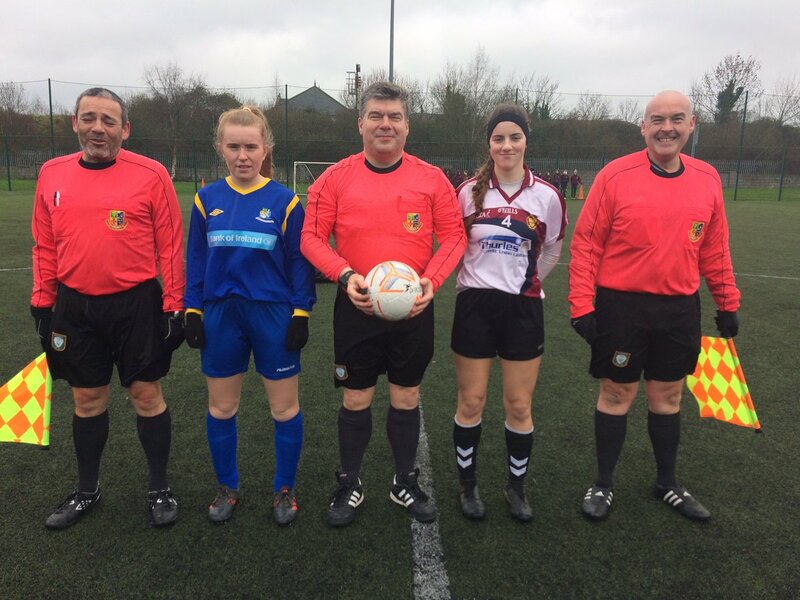 The Pap / Connell management pairing can now prepare themselves for a first FAI Schools Senior Girls Cup Final appearance as they await their opponents. 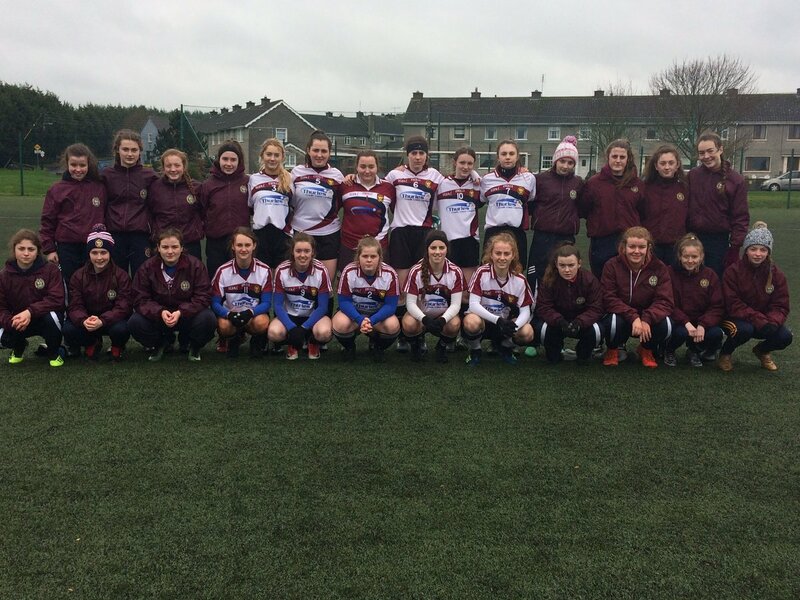 Last year’s finalists Moville Community College will face Ursuline College, Sligo in the other semi-final fixture which fell foul to the weather during the week. This outing will now take place next Thursday, February 7 in Curragh AFC, Killygordan. The details of the Cup Final will be finalised next week.